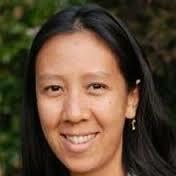 Although there has been no public statement, Councilwoman Chen-Hoerning has decided not to run for a second term. The woman who came from nowhere to win the seat held by Robert Rubilla seems to be leaving the scene with official silence. Bring issues to the forefront in a town which, to put it nicely, is averse to change was a breath of fresh air and new direction. Everything from asking basic questions at meetings that most others had but, for fear of looking silly, did not publicly ask to taking a quiet, yet important stand, on women’s rights, Mrs. Chen-Hoerning made people talk about things they did not want to talk about.